You may also recall that I loved that Mizuno driver so much, that I actually dug into my tightly-guarded coffers and forked out some hard-earned cash to purchase it (which in itself is a glowing recommendation, coming from a penny-pinching journalist). In the end, the purchase proved to be one of my best-ever golf decisions, as the club has taken pride of place in my bag, giving me plenty of joy off the tee. Fast forward to last month, when I was given the opportunity to test-drive Mizuno’s latest (and hottest) offering: the sleek and snazzy ST180 Driver. Knowing how good my current Mizuno driver performed, it was with a combination of excitement and hesitancy that I took the ST180 out to the range and course. I was excited to see just what amazing new enhancements Mizuno has come up with, yet hesitant because I feared that I would love it so much that my purse strings would need to be loosened yet again. Featuring a new “Wave Sole”, Forged SP700 Ti Face, Internal Waffle Crown and adjustable hosel, this new “Big Dog” from Mizuno has been engineered for performance for all levels of golfer. The Amplified Wave sole in the ST180 borrows technology originally engineered in Mizuno’s highly-popular fairway woods. In essence, the sole contracts and expands on impact – increasing energy imparted to the ball for more speed. And the new multi-thickness, Forged SP700 Ti Face helps accelerate ball speeds even further, resulting in maximum distance. Next, the Quick Switch Adjustable hosel allows you to change the loft of your driver quickly and easily, giving you a range of four degrees of loft adjustment and three degrees of lie adjustment to match your own specs and preference. It also features the benefit of being able to quickly swap out a shaft with a turn of a key. Now the fun bit: the testing. Like my current Mizuno Driver, the ST180 driver delivers! 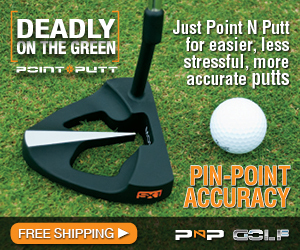 The ball simply explodes off the face, producing longer, straighter drives than I have ever seen. The feel was solid and responsive with plenty of spring, while the pleasant “thwack” sound was just right. My playing partners became increasingly envious throughout the rounds, as drive after drive launched into the stratosphere at top speed. The only thing missing was the sonic boom. Even on off-centre hits, the drives were still pleasantly long, while the reduced spin off the face helped even my most shocking of drives stay relatively close to the fairway. In truth, I can easily say that the ST180 is EVEN BETTER than my current (albeit still magnificent) Mizuno JPX900 driver. The ST180 is simply stunning. So much so, that I may have to break the news to my wife that there could be another charge on the credit card in the near future. 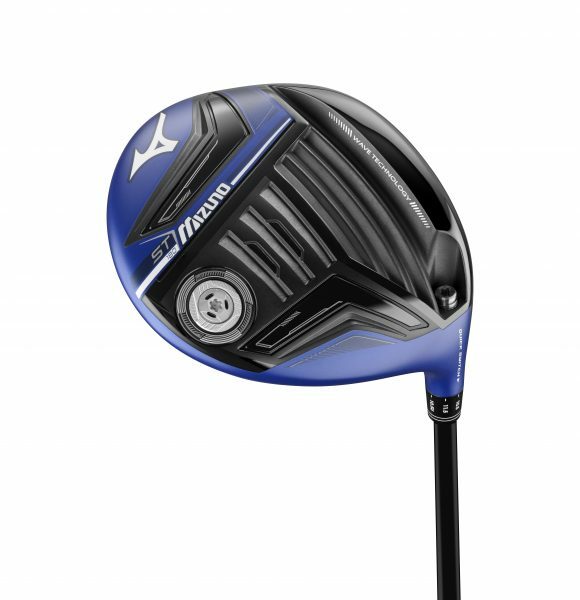 The Mizuno ST180 Driver is available in RH (9.5, 12.5 HL), and LH (9.5), with an expanded line of high-end shafts fitted without additional charge.